The start of a new year brings with it hopes and expectations with regard to many aspects of a family’s situation. Making changes has always been the hallmark of annual resolutions, many of which fall by the wayside very quickly. However, while making home electrical upgrades may not resonate as deeply as other options, it can offer change that result in benefits that will stand the test of time. Upgrading home electrical appliances and other areas can cause local homeowners to cringe because of the belief that they’ll be unable to find an affordable electrician in Arlington. In reality, working with a licensed residential electrician can end up saving money in some cases because of such things as electrical panel upgrades. All new homes that are built need to have GFCI outlets in rooms that have sources of water in them. That simple fact is a sign that hiring a residential electrician to perform home electrical upgrades of this nature is the wisest course of action. Otherwise, you could be needlessly subjecting you and your family to the possibility of electrocution. In addition to switching to GFCI indoors, it certainly makes sense to also address outdoor areas that will inevitably see rain and the occasional snow. Having these outdoors is also a required for new residences, so making old things new again can include this plan. The reason for such an expansion deals with the explosion in technological devices that have been developed, especially those within the past few decades. Needing electricity for all these devices can tax your electrical system and lead to breakdowns or worse. Contacting an affordable electrician in Arlington to make these changes puts an end to any more concerns. Children within a home are one of life’s true treasures, which has been the thinking behind the use of child-proof plastic plugs. However, it’s been shown that relying on this option can sometimes lead to tragic consequences that can devastate a family, which explain why installing the tamper-resistant variety is the best approach. The difference between the two is that tamper-resistant plugs have shutters attached that are spring-loaded. This helps guarantee that those slots will be unable to be accessed by children whose curiosity might get the better of them. Peace of mind at a reasonable price is a steal of a deal. Surge protectors can help protect against dangers electrical surges that can destroy expensive appliances and devices. With so many homes having so many devices these days, the use of so many different surge protectors can inundate homes with a sea of these unsightly products. When you choose to have a whole-house surge protector installed, its offers one central area that acts against any outside surges that might enter a home. That offers a much-less complicated process that can make your life simpler. Upgrading home electrical equipment, which might involve electrical panel upgrades, is a specific area in which J&B Electrical Services particularly excels. That’s why when homeowners look for an affordable electrician in Arlington they can trust, we are right at the top of their list. That’s because the residential electrician we send to your home has been rigorously trained to handle upgrades of this nature. In addition, they know how to tackle repair jobs in a prompt and professional manner. 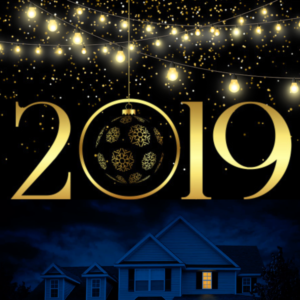 So for any home electrical upgrades you might need for this year and beyond, make sure to contact us today at 817-266-5499.